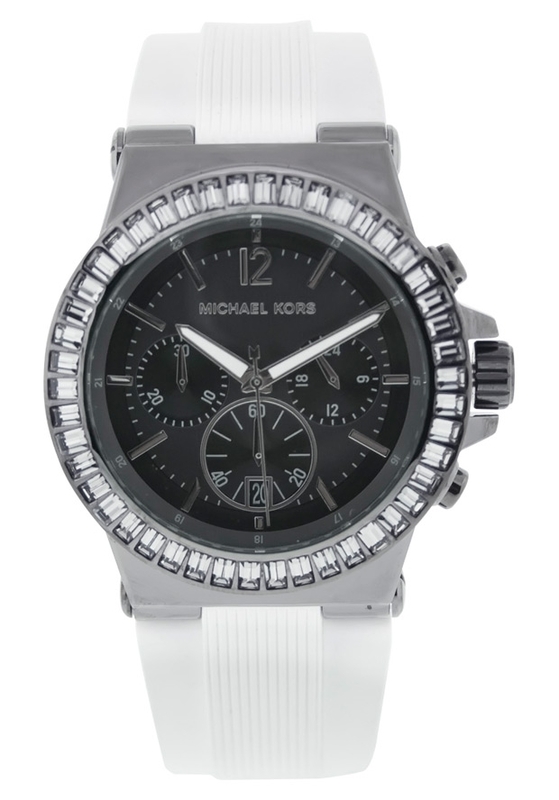 Girl MICHAEL KORS with white rubber strap watch with BLUED steel buckle closure. Box in stainless steel anti-allergic BLUED black. Dial with timer function and calendar.